Emmanuel Levacher, CEO of Arquus (formerly Renault Trucks Defense) acknowledged a sharp rise in revenues at the company’s annual press conference in Paris held on February 5th, 2019. Indeed, his company’s revenue went 25% up last year to around € 500 million after repositioning itself to concentrate on its core business under its new name, and following the fact that its present owner, the Volvo Group, abandoned the idea to sell RTD. Arquus also recorded a 10% rise in firm orders signed in 2018, which are worth € 700 million. The order book currently stands at € 6 billion of which € 1.2 billion are firm orders. Although more than 50% of its accounted revenues come from French orders, with 89 commercial offers submitted in 2018, Africa comes second with 42 offers submitted, followed by Asia with 33, Europe with 26 and the Middle East with 22. Just last year Arquus and Kuwait signed a formal contract for 300 Sherpa Light scout vehicles which are now in production. This contract follows that for 25 heavy trucks ordered earlier, aimed at equipping Kuwaiti Special Forces. These vehicles were recently qualified by the French DGA procurement agency and are due for delivery later this year. Amongst the significant events of 2018 was the major partnership signed with AM General on October 8th, allowing the U.S. company to produce under licence the 12 tonnes Bastion vehicle at its plant in Southbend, Indiana. The licensing agreement allows AM General, known for producing the 5 tonnes HMMWV, to have a heavier vehicle on its catalogue and opens up the U.S. foreign military sales market to Arquus: “a win/win situation” underlined Levacher. It also means Arquus will be able in the future to by-pass German export limitations put forward by its government over the past months. 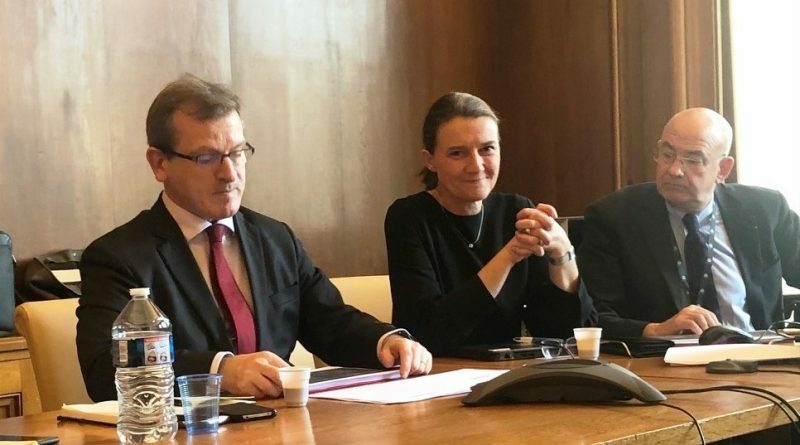 The ban placed today by Berlin regarding export of military hardware and components to countries at war in the Middle-East is heavily jeopardizing the French military export to those countries. 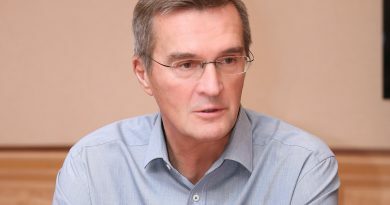 Therefore, going further on the subject of Germany, Levacher remarked that Arquus needs to quickly find alternative suppliers of components such as joints, automatic gear boxes or engines, designed for civilian vehicles but used in military products for export. Even if Germany does not openly forbid their export, approval procedures “are extremely long” while, in addition, the list of countries for which approval is being denied “is getting longer,” with Indonesia and India recently added to warring Egypt and, above all, Saudi Arabia, entangled in the long-lasting Yemeni quagmire which has made European public quite angry. 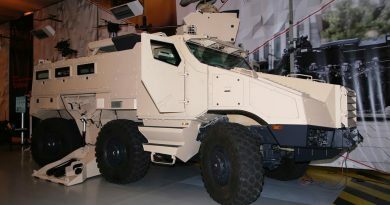 In Europe Arquus is still awaiting French parliamentary approval for the inter-governmental “CaMo” agreement, signed last November with Belgium in order to supply the kingdom with 382 Griffon and 60 Jaguar armoured vehicles said to be “enhanced information vehicles” that will be “almost identical to the ones being supplied to the French Army” according to Levacher, something which should maximize cooperation and interoperability and could lead to the integration between the two Armed Forces. 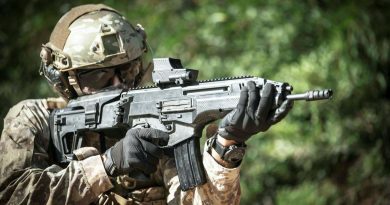 This acquisition is a strategic step in the cooperation between the Belgian Land component and the French Army, and marks a milestone in the construction of a European integrated defence. He mentioned that France and Germany “are not yet aligned in terms of concepts, or even of needs” so nothing has yet been set. “We are talking with end-users, the DGA and other manufacturers about this,” he concluded.